Do you think it is difficult to mix drinks? A pain to slice fruits and measure exact cl? 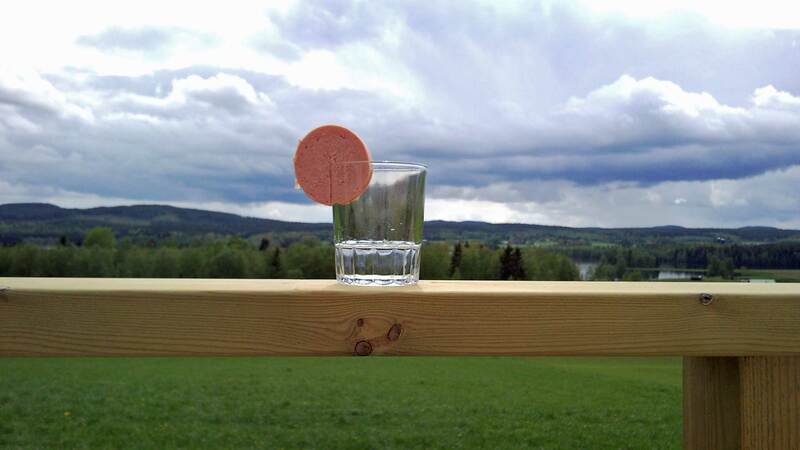 Here is a drink recipe for “Pajala Sunrise” that no one can fail. Pajala Sunrise is a drink that you drink both in the deep forests of northern Sweden and parts of Finland, mainly in rural areas. Pajala is a small town located in the very north of Sweden. Take a regular drinking glass. 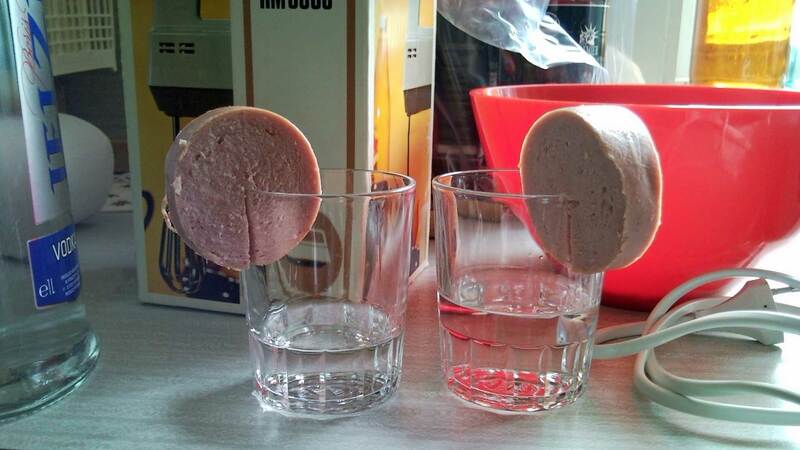 Fill with vodka, but leave a few centimeters to the edge. Obtain a raw sausage and cutting a sheet of the desired thickness. Make an incision in the disc and put it on the edge of the glass. Add some cranberries in the glass for a more exotic feel.